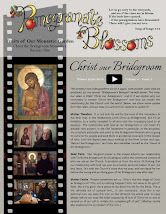 Christ The Bridegroom: Girls' Camp 2012 Video! An amazing group of 17 teen girls enjoyed the fourth annual Life in Christ Girls' Sleepover Weekend (aka Girls' Camp) at the monastery, June 28-July 1. We can hardly begin to describe the graces that God poured out on the girls (of which we only know the tip of the iceberg) and on us, throughout this beautiful weekend! Our theme was "Priceless: Finding your value in Christ," and the talks and activities imparted to the girls their priceless value as women, God's design for our femininity, the lies that the devil tells women, and the love that God has for each one of them individually. 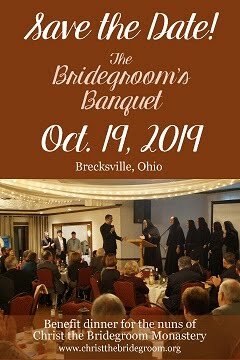 Speakers of each vocation (marriage, single life, monastic life) shared stories of their discernment and of the joys and struggles of their particular vocation. 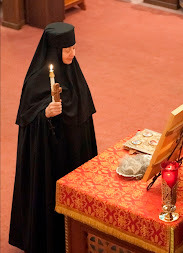 We also prayed many of the daily Byzantine liturgical services, enjoyed meals together and just had a blast being together as sisters in Christ. 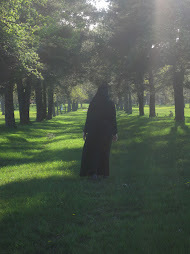 We were thrilled that nearly every girl told us that her favorite part of the weekend was her experience of the Mystery of Holy Repentance (confession) and the time of quiet prayer that followed. The weekend closed with the Divine Liturgy on Sunday at the Shrine of Our Lady of Mariapoch with the boys' camp participants and the families of all the participants. We put together the following video to showcase some of the talks, activities, comments from the participants and great memories from the weekend. We hope you enjoy it! Please click here to watch the video on YouTube! "I have changed completely. I feel closer to Christ and I feel more of a personal relationship with Him." "My favorite part of the weekend was meeting a lot of other girls who had the same faith and beliefs as me because we could talk about God and not feel different." "I would tell a friend that this is the best opportunity to prepare for the vocation that God has called you to." "This experience made me realize that I shouldn't be afraid to listen to God." "This weekend affected my relationship with Jesus Christ because now I know that He made me beautiful and thinks that I'm amazing and worthy of Him." 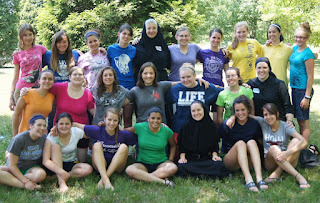 Such a beautiful retreat! I feel so blessed to have been a part of it!